Krp Electrical Limited offers a range of services for its domestic clients. These range from additional points, alterations, rewiring and upgrading of consumer units.Please contact us to discuss your requirements. All works are guaranteed by Krp Electrical Limited and by the government endorsed “Trustmark” scheme. These are in addition to manufacturers’ own guarantees. Works are certified as required, depending on the works carried out which may also include Part P notification under the Part P requirements of 2006. Works are carried out to our current standard know as BS 7671:2008 Requirements for Electrical Installations as well as BS 5839-6: 2004 Fire detection and fire alarm systems for buildings, plus any building regulations that may need to be incorporated as well. Krp Electrical Limited offers a wide range of services to its business clients, including annual appliance testing for HSE compliance and out of hours work carried out to minimise disruption, but this is only an example of the services offered, there are a great many more. Full electrical design service comprising, lighting, power and network cabling with further assistance regarding ventilation and running costs. In basic terms that the right lighting and ventilation are installed to comply with current building regulations and long term running costs. All works are guaranteed by Krp Electrical Limited and via the government endorsed “Trustmark” scheme, as well as manufacturers’ own guarantees. Works are certified as required depending on the works carried out which may also include Part P notification under the Part P requirements of 2006. Did you know that smoke alarms and heat sensors have been around since the late 1890s? 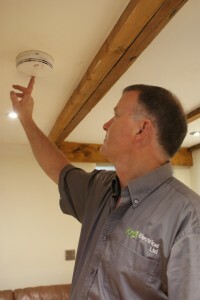 Smoke and heat alarms became mandatory in 1992 under the building regulations of 2001 section B1 fire alarm and fire detection systems in new dwellings. These are required to be hardwired into the mains and interlinked . They are usually situated in the hallway and landing areas. This also heat and carbon mono oxide detectors .These can have remote switching and/or interaction with smart phones. It is noted that in the UK around 80% of all fire deaths and injuries occur within dwellings, this is a total of 450 to 500 deaths and 14,000 injuries per year according to BS 5839–6:2004. BS 5839–6:2013 is the current code of practice that applies to the installation and fire alarm systems. 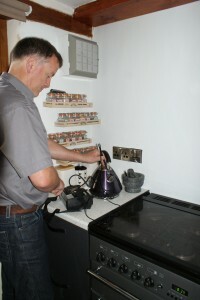 You may ask yourself why appliances need to be checked when they appear to be working fine? Appliance safety checks were brought into place under the 1974 Health and Safety at Work Act under section 23 , 24and section 7. This legislation ensures the safety of all persons using work premises.This also applies to the self-employed workforce. This was clarified several years later under the Electricity at Work Regulations in 1989. The fundamental change being the introduction of PortableAppliance Testing, commonly referred to as PAT. Safety checks (P A T) are not just for handheld tools but also other items from movable to fixed equipment .Testing and checks are carried out to ensure safety and certification with results from each appliance, issued. These checks should be carried out on a regular basis, on the same principle as a MOT to make sure that these items are electrically sound and this ensures that you are complying with the Health and Safety at Work Act. Contact KRP Electrical Ltd for your FREE estimate. 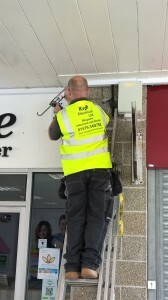 Krp Electrical Limited was set up in 2008, by Keith Pattle, who was a sole trader prior to this as KRP Qualified Electrical Contractor, which started in 2002. © KRP Electrical Ltd, All right are reserved.